The P21 Framework for 21st Century Learning was developed to define and illustrate the skills, knowledge, expertise, and support systems that students need to succeed in work, life, and citizenship. 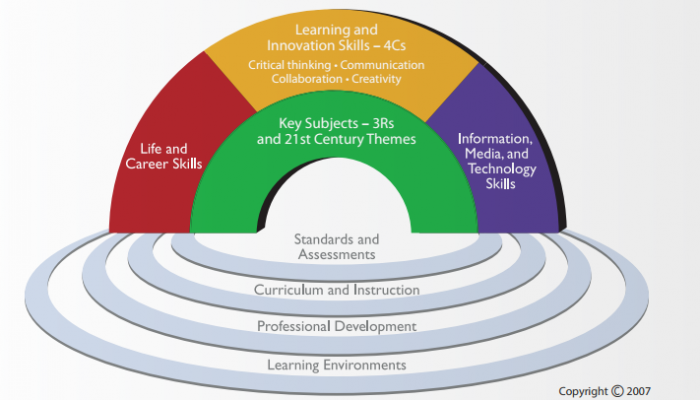 This Framework puts 21st century skills at the center of learning. All elements of the Framework are critical to ensure 21st century readiness for every student.